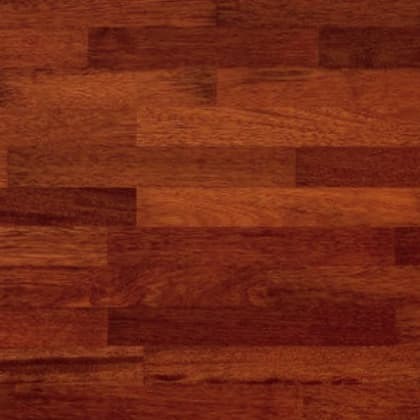 A very popular exotic species of wood for use in high end, unique looking flooring, Merbau has deep colours ranging from orange-brown to a darker reddish colour and can have small yellow mineral deposits that give Merbau wood flooring its sought-after distinctive look. 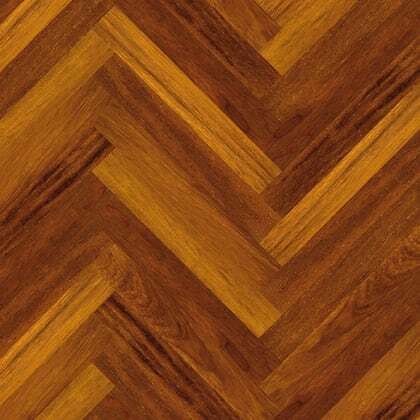 As it is only available under license in the UK supply can be limited but we have a large range of exotic woods and currently, stock Engineered, Solid and Parquet Merbau flooring. 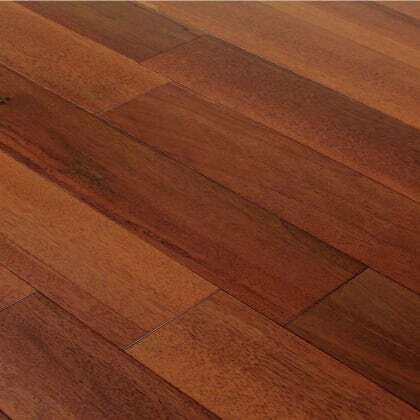 Merbau wood is a rot-resistant, durable hardwood that has a coarse texture with natural luster and a straight to inter-locked grain. The distinct yellowish flecks that can be found in the grain are actually formed by little mineral deposits and this can aid in identifying this wood. If you are looking for a distinctive wood to use in your high quality refurbishment you cannot go much wrong with a merbau wooden floor and we have the selection and expert advice to help your dreams become reality. 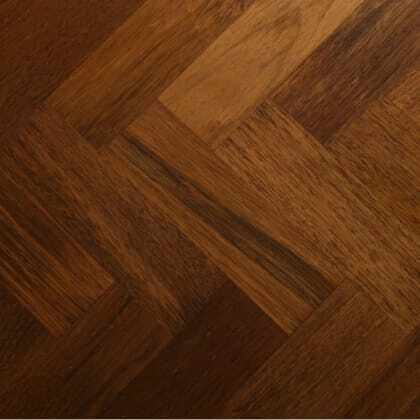 The MET032 Merbau 3 Strip delivers a wood floor with a hint of the days of traditional parquet in an engineered format with a Clic fitting system, Merbau is both durable and enhanced by its exotic rich grain and character with colour and grade variance. With a hint of parquet strip floor the Merbau hardwood engineered 3 Strip plank is a contempory hardwood floor but in the not so common species which is rich in colour tone and detail and looks great in rooms that need to be warm and clean, a quality 3 Strip plank and a Lifetime Structural Guarantee. 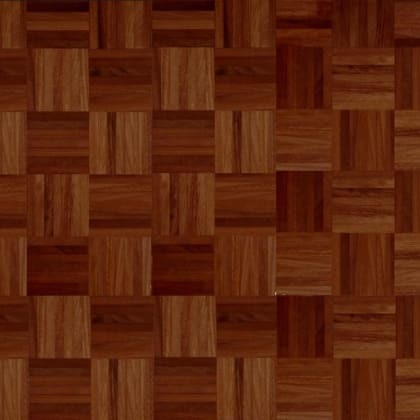 Lacquered Square Edged Natual Grade 3.2mm Solid Merbau Wear Layer 14mm x 215mm x 2200mm 2.84m2 coverage per pack Special order upto 4 weeks. .. The KENS055-ENG Merbau is for those who appreciate the finer things in life, there is no substitute with the subtle nuances of woods rich grain and colour as you feel its warmth and character only available from an exotic species with a 2V bevelled profile on a multi-layered engineered structure. Special Order / Produced to Order Merbau is very rich in red colour tones with vague lines of dark fine grain and light honey-gold flecks, Merbau has a high hardness factor and is available in a engineered structure, as a protected species Merbau is becoming harder to source and is produced to order with a Lifetime Structural Guarantee. Lacquered 2v Micro Bevel Select Grade Engineered T&G 15mm x 140mm x RL 1.00m2 coverage per pack (min order 5m2 to avoid surcharge) Also available in Oiled .. The KENS055 Merbau is for those who appreciate the finer things in life, there is no substitute with the subtle nuances of woods rich grain and colour as you feel its warmth and character only available from an exotic species Special Order / Produced to Order Merbau is very rich in red colour tones with vague lines of dark fine grain and light honey-gold flecks, Merbau has a high hardness factor and is available in a solid structure, as a protected species Merbau is becoming harder to source and is produced to order with a Lifetime Structural Guarantee. Lacquered Micro Bevel Select Grade Solid T&G 14mm x 90mm x RL 1.62m2 coverage per pack (min order 5m2 to avoid surcharge) Also available in Unfinished or Oiled and in wider plank size140mm to order. .. 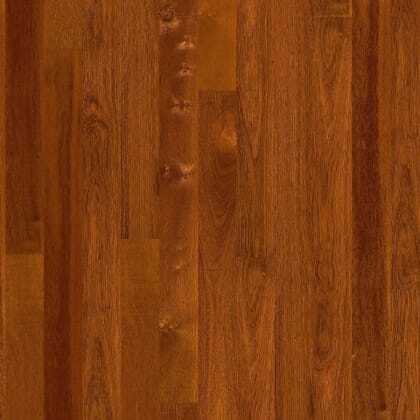 The KENS035 Merbau is very rich in colour with warmth with fine flecks and grain. So if you appreciate the finer things in life, there is no substitute for Kempas with its subtle nuances of woods rich grain with fine detail and colour. Special Order / 2-3 Weeks Merbau is very rich in red colour tones with vague lines of dark fine grain and light honey-gold flecks, Merbau has a high harness factor with a Lifetime Structural Guarantee. Lacquered Square Edge Engineered Prime Grade Click 13.5mm x 136mm x 1800mm 1.958m2 coverage per pack (min order 5m2) ..